UTC Aerospace Systems manufactures advanced aerospace and defense technology that is used by companies all over the world. The company designs, manufactures and services advanced components used by commercial, business and military aircraft of all kinds, including planes and helicopters. Additionally they are rapidly becoming one of the world’s largest suppliers of technology for private and international space programs. 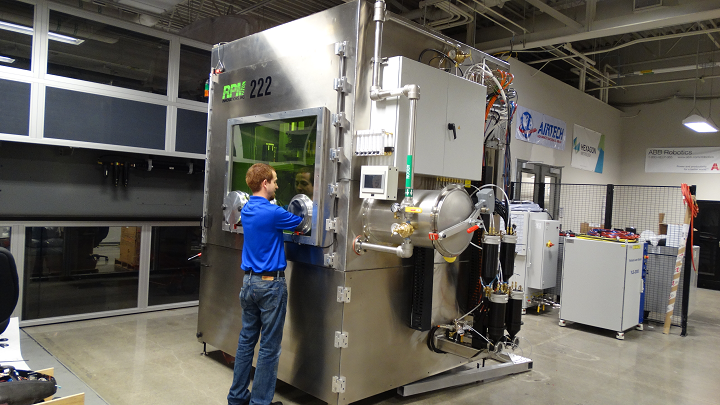 As part of a plan to upgrade their facilities under the Connecticut Aerospace Reinvestment Act, the company is opening a brand new, multi-million-dollar state-of-the-art Materials and Process Engineering (MPE) lab in Windsor Locks, Connecticut. The MPE Lab will offer the company’s engineering team access to advanced resources that will support their efforts to research, engineer and produce new materials and manufacturing processes. The 20,000 square-foot MPE lab represents an $8 million investment in UTC’s Connecticut facilities and will include additive manufacturing technology capable of producing parts and components in a wide variety of metal and plastic materials. It will also be used to develop advanced materials like high-temperature composites, carbon-carbon and silicon carbide-based composites. These composite materials will have applications for the manufacturing of aircraft brakes and other vital components. They can also be used to develop lightweight metal matrix nanomaterials and polymer composites that can be adapted for use in a variety of applications across all UTC Aerospace Systems manufacturing facilities. “As a technology company with more than 8,000 engineers, we are continuously making substantial investments in materials, products and processes that add more value for our customers. The new laboratory in Windsor Locks is yet another advancement in the technology that is the hallmark of UTC Aerospace Systems,” explained senior vice president, Engineering, Operations and Quality for UTC Aerospace Systems David Carter. UTC Aerospace Systems also announced the creation of a Materials Engineering Center of Excellence at nearby University of Connecticut (UCONN) where students will be offered a chance to work alongside UTC engineers. The program will allow sophomores and juniors to work hands-on with the advanced technology in the new MPE lab, and offers educational opportunities working alongside UTC Aerospace Systems engineers and scientists focusing on the development of materials and manufacturing technologies for future aircraft. The agreement made with UCONN will include a five-year, $1 million investment in the development of additive manufacturing technologies, high-temp composites, thermoplastics and other advanced composite materials. “We are very excited about the new MPE lab which will transform the way engineers and scientists will collaborate to produce innovative solutions using a spectrum of material and manufacturing combinatorial techniques. The Center of Excellence we’ve established will provide our students with a unique learning experience by working in the lab with UTC Aerospace Systems’ talented engineers,” said Mun Choi, University of Connecticut Provost. UTC Aerospace Systems is a division of United Technologies Corporation, which is based in Farmington, Connecticut. UTC and all of its partner companies supply high-tech systems, services and advancements to companies throughout the construction, manufacturing and aerospace industries. You can find out more by visiting their website here, and discuss in the UTC 3D Printing forum over at 3DPB.com.